Pebble Homes - Phase One XF, IQ3 100, f/14, 1/4s, ISO 50. 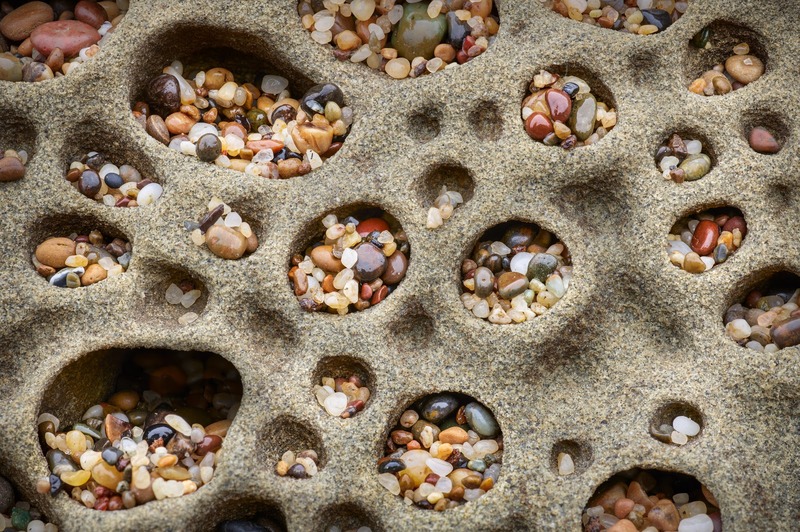 I really struggled in composing this image because while the patterns of these pebble filled holes is interesting, its hard to find a framing where you don’t end up cutting one with the edges of the frame. Ultimately I decided to embrace it and purposefully make sure that some number of holes were cut on each side of the frame to have some kind of balance and then to have a cluster of complete holes in the center being the main subject.